Managing a successful chiropractic practice requires a great deal of time and attention. For busy physicians, this means that marketing and PR can quickly fall by the wayside. But, it’s possible to increase market share and patient engagement in the competitive healthcare industry by implementing a few key strategies. One such option is running a branded search for your business – that is typing your business name and city into the Google search bar – to make sure that the results are current and correct. Ideally, you’ll want this search to return a map listing with your practice’s name, address, and telephone number. Dominating the first page of the search engine results can be a major boon to your ability to gain patients. 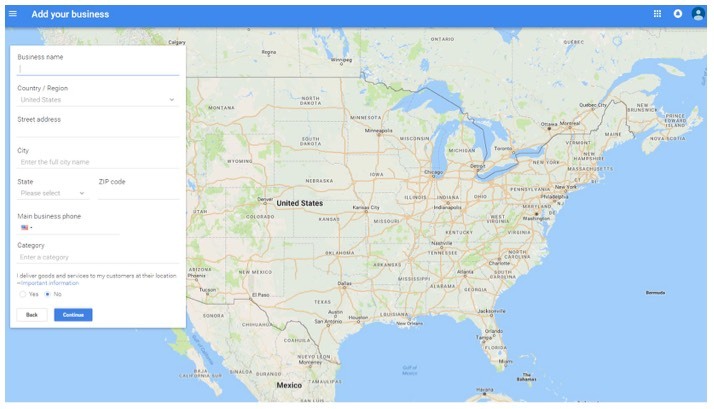 Not only will this map listing show up when someone Googles the name of your practice, but if a user searches for a chiropractor and they are near your location, Google may also provide your listing as a recommended option. Once you’ve filled out your information, you will be asked to verify your profile. To verify a new listing, the only option is by mail. In this case, Google will send you a postcard with a code that will allow you to verify your business. The reason Google does this is to ensure that your business has a physical address that is maintained and checked. It typically takes 1-2 weeks to receive a postcard, which is only good for 30 days so be prepared to use is as soon as it arrives. If there already is a Google map listing with your business information, you can then claim that listing for better results. This also requires Google to verify that you are, in fact, the business owner; they may try to contact you by phone, postcard or email. Google My Business provides a valuable service to you and your clients, so make sure you take advantage of its lead generation capabilities. It’s also a good idea to claim and update your listings on listing data aggregator sites. These organizations (like Neustar Localeze, Infogroup, Factual, and Acxiom) keep extensive databases of business contact information that are distributed to many other listing services. Another option is managing your presence on social media to make the most out of your exposure to your loyal patients and fans. It’s easy to create profiles across many different social media channels, but it isn’t as easy to manage, track, and record the progress of each one – nor is it necessary. To get started, choose one site to focus on and take a bit of time to track your efforts over a period of several months. Facebook is one popular option for businesses, as it offers a combination of organic and paid advertising. An organic post is a status or photo you publish with no advertising dollars behind it. Such a post might only be seen by three percent of your followers. If that’s under 100 people, you’ll want to consider spending a little more to get more of a reach. Facebook’s paid posts are inexpensive and can show tremendous results. When it comes to tracking results, Facebook tracks impressions, clicks, and traffic to your posts. 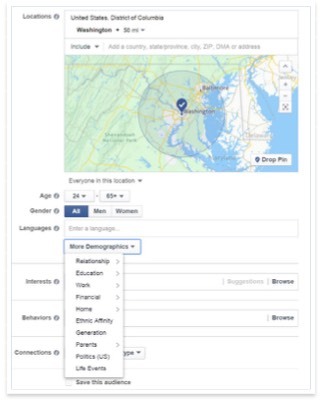 And, Facebook also makes it possible to target your campaigns to the specific demographics of your audience. To create a targeted campaign, you’ll want to start by building a following. As your follower count increases, you can start creating targeted ads specifically to your dedicated followers. For instance, if your chiropractic office specializes in sports medicine, you can specify that you’re most interested in appealing to younger individuals who have expressed an interest in basketball, running, or soccer. This can help ensure that your campaigns get in front of the right eyes. Although, every second an average of 6,000 tweets are produced (2). To help your business stand out from so many conversations, it’s helpful to have several people contributing to your campaign. With two or more minds working to use trending hashtags, interacting with other accounts, and generating new followers, the job is much simpler. For instance, ask a receptionist or intern to snap a few pictures around the office and post them throughout the week. Try to stay consistent with a posting schedule and use trending hashtags on each post. One option? Share a picture of your office before a remodel for a Throwback Thursday (#TBT) post. As far as LinkedIn goes, this platform is primarily used as a “social resume” where you can share updates that other doctors, partners, or patients might find interesting about your business. As an experienced speaker for Laser Spine Institute, I’ve gained a lot of exposure from my presentations. Sharing professional video clips on LinkedIn gives my practice more authority and brand value. Most LinkedIn users are active in the morning, before lunch time, so try to post early enough during peak browsing hours. Lastly, don’t write off email marketing, as it is an inexpensive and effective way to interact with patients. Since most patients go weeks – or even months – without stepping foot in your office, periodic emails are a great way to keep your name at the forefront of their minds. To assemble your contact list, include an option in your new patient paperwork to have patients indicate whether they would like to receive your newsletter. You can also place a clipboard with a sign-up sheet at your front desk or in your lobby. And, have a box on your website to enter an email address if they wish to provide it. The most important aspect of an email marketing campaign is to make sure that it adds value to your patients’ lives – otherwise, the messages can get buried in a cluttered inbox. Try generating content that can fall under one of several categories, such as health tips, FAQs, and industry news. Behind-the-scenes tidbits from your office can also help give your practice a human touch. And, ask for reader feedback to make sure you’re on task, and then consider what patients would enjoy reading or hearing about from your practice. As far as measuring your successes, most email marketing tools track your open rates and click rates so that you can analyze which information is useful or not. If you have a good open rate, but no clicks to links in your email, it may mean the information you’re providing isn’t useful to your audience. Try sending a test email to your employees and a few patients first to get their honest opinion. You’ll be surprised with what you think you know and what others have to say. Here’s an example from an email sent using MailChimp, where the campaign is set to the “Medical, Dental, and Healthcare” industry. According to Mailchimp’s industry averages (3), this example has a high Open Rate but a low Click Rate. Have you taken advantage of social media marketing, email marketing, and/or branded search in your attempts to market your chiropractic practice? If so, share your own favorite tips and techniques in the comments below.